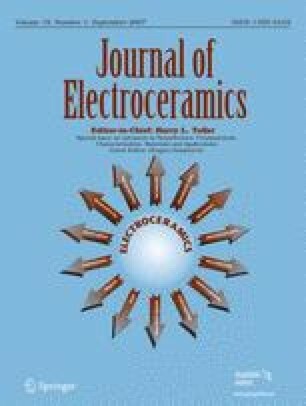 Lead-free piezoelectric ceramics: Alternatives for PZT? Investigations in the development of lead-free piezoelectric ceramics have recently claimed comparable properties to the lead-based ferroelectric perovskites, represented by Pb(Zr,Ti)O3, or PZT. In this work, the scientific and technical impact of these materials is contrasted with the various families of “soft” and “hard” PZTs. On the scientific front, the intrinsic nature of the dielectric and piezoelectric properties are presented in relation to their respective Curie temperatures (T C) and the existence of a morphotropic phase boundary (MPB). Analogous to PZT, enhanced properties are noted for MPB compositions in the (Na,Bi)TiO3-BaTiO3 and ternary system with (K,Bi)TiO3, but offer properties significantly lower. The consequences of a ferroelectric to antiferroelectric transition well below T C further limits their usefulness. Though comparable with respect to T C, the high levels of piezoelectricity reported in the (K,Na)NbO3 family are the result of enhanced polarizability associated with the orthorhombic-tetragonal polymorphic phase transition being compositionally shifted downward. As expected, the properties are strongly temperature dependent, while degradation occurs through the thermal cycling between the two distinct ferroelectric domain states. Extrinsic contributions arising from domains and domain wall mobility were determined using high field strain and polarization measurements. The concept of “soft” and “hard” lead-free piezoelectrics were discussed in relation to donor and acceptor modified PZTs, respectively. Technologically, the lead-free materials are discussed in relation to general applications, including sensors, actuators and ultrasound transducers. An erratum to this article is available at http://dx.doi.org/10.1007/s10832-007-9095-5. This work supported by Office of Naval Research (ONR) and National Institutes of Health (NIH) under grant number P41-RR11795. The authors also thanks to Prof. Tadashi Takenaka and Dr. Hajime Nagata for the BNBK samples.